“Virtually every process in the cell is directly or indirectly affected by ubiquitin. 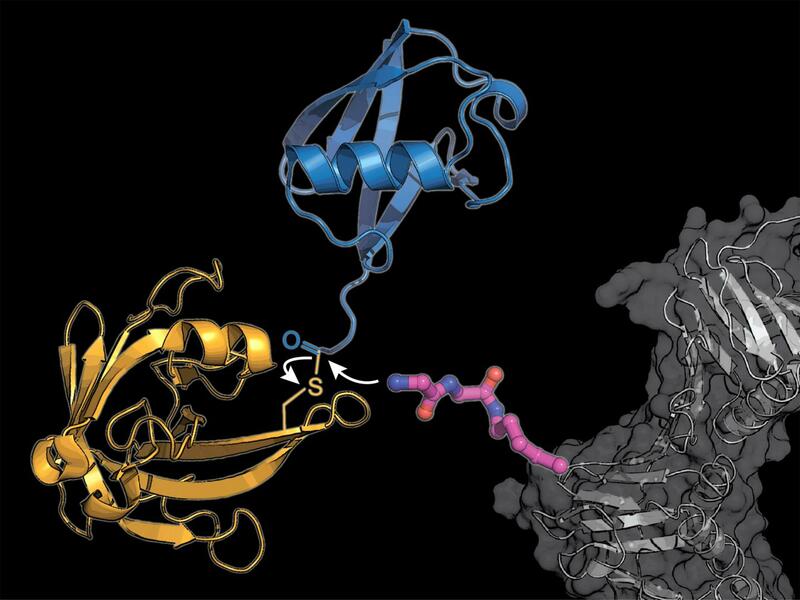 That is why malfunctions of this labeling mechanism are associated with the development and progression of cancer and many other severe diseases,” explains Kathrin Lang, Professor of Synthetic Biochemistry at the Technical University of Munich. “The biggest challenge was to align the various steps – the incorporation of the unnatural amino acid into a target protein and the transfer of ubiquitin by the enzyme sortase – in such a way that they will work not only in the test tube but also in living cells,” recalls Maximilian Fottner, the lead author of the study. In the meantime, the researchers at the Technical University of Munich have optimized and patented their new method for many different cellular proteins. “We have already entered into collaborations with physicians and cell biologists who now want to work with us to study the effects of ubiquitin markers on the development of cancer and neurodegenerative diseases such as Parkinson’s at the molecular level,” says Prof. Lang.